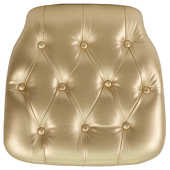 Find the most beautiful chair accessories from cushions to spandex chair bands and dust covers. 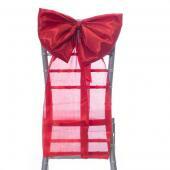 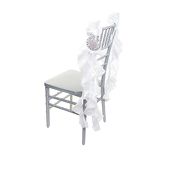 Cozy up to our stylish collection of bow accent for your chiavari chairs. 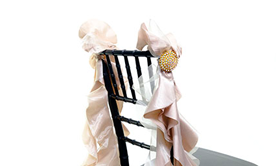 Tutus are a popular way to decorate your chairs for an special event. 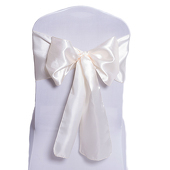 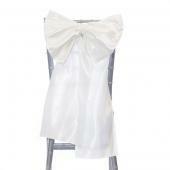 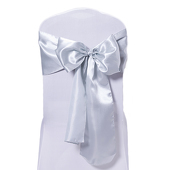 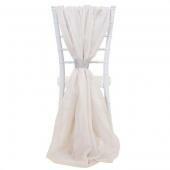 Lets transform your event space into a beautiful and elegant area with our satin chair sashes! 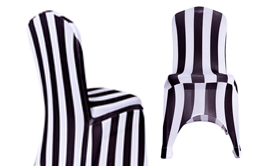 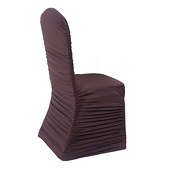 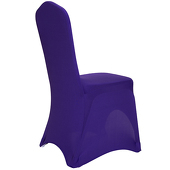 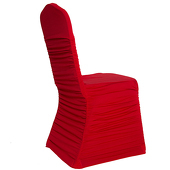 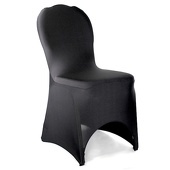 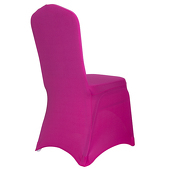 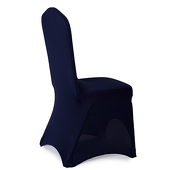 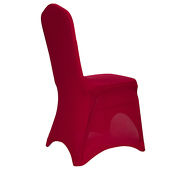 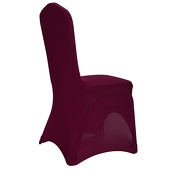 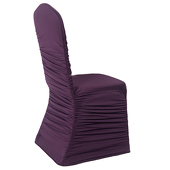 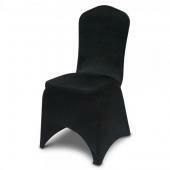 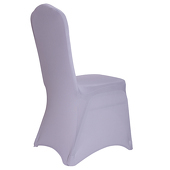 Dress up your chair snuggly with our ruched spandex chair covers and show the chairs shape. We provide high-quality Scuba Chair Covers at factory direct prices! 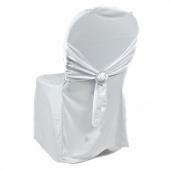 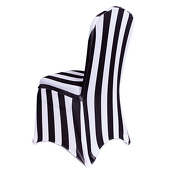 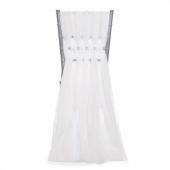 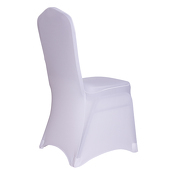 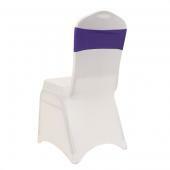 We provide the best selection of spandex chair covers. Perfect for weddings and parties. 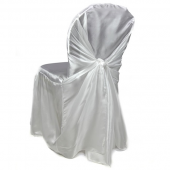 Our taffeta wrap chair covers are not only gorgeous, they are the most versatile chair covers available. 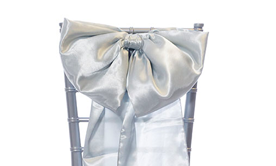 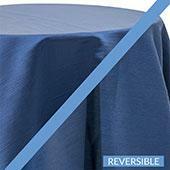 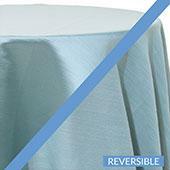 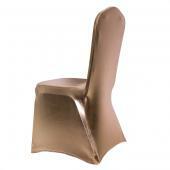 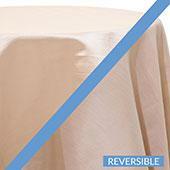 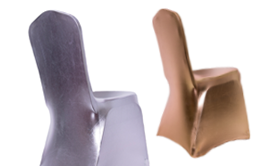 Our metallic chair covers will transform any run-of-the-mill banquet chair into lovely event seating. 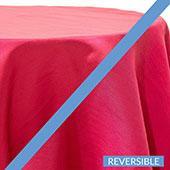 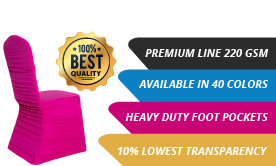 These covers are made from high quality stretch spandex material that is highly durable, stretchable, and affordable. 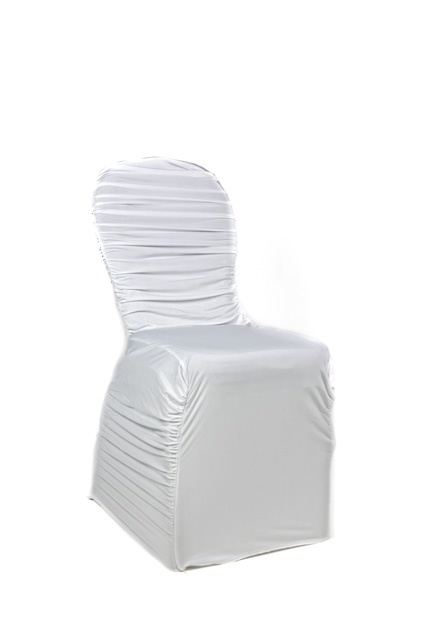 Premium Taffeta (Chameleon) Fabric Chair Cover By Eastern Mills in White - Universal Fit! 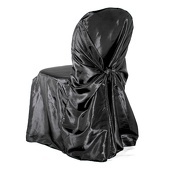 Premium Taffeta (Chameleon) Fabric Chair Cover By Eastern Mills in Black - Universal Fit! 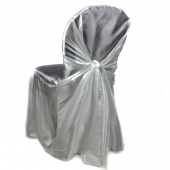 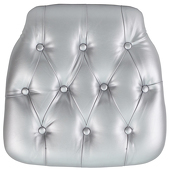 Premium Taffeta (Chameleon) Fabric Chair Cover By Eastern Mills in Silver - Universal Fit! 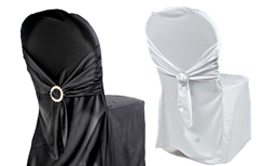 Event Decor Direct is excited to offer these new and custom chair covers for sale at an incredible factory-direct price. 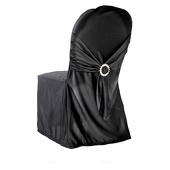 These chair covers can be a perfect accent to your special day. 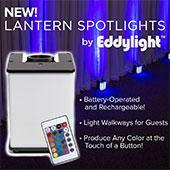 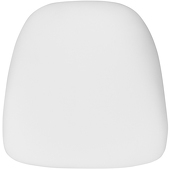 You can choose the color, the material, and even the grip of the fit to match you color scheme and other decor. 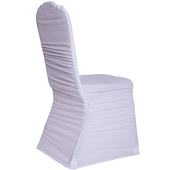 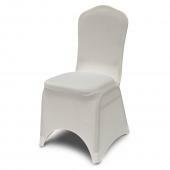 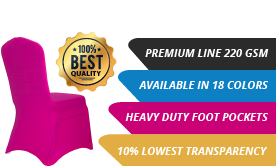 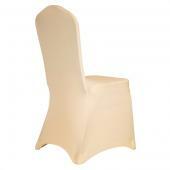 These chair covers easily slide into a nice snug and sturdy position with nearly any chair. 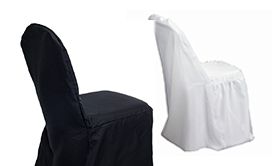 You may also be pleased to know that these chair covers have an average lifetime of over 10 years! 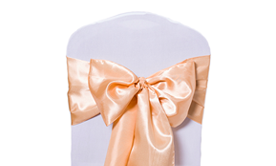 Our wedding chair covers have received either a 4 star rating or higher in tear resistance, thickness, seam quality, and washing durability! 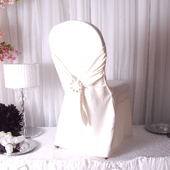 Compare this with the results of the other cheaply made chair covers, and you will find they received no higher than a 2 star rating. 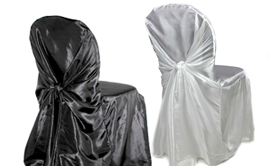 We offer four different types of chair covers, including Ruched, Universal-Fit Taffeta Wrap, Polyester Flex (Scuba) and Lycra (Spandex). 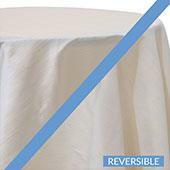 Although the Polyester Flex consumes the majority of our sales, there has been a spike in the sales of the Lycra (Spandex) covers as well. 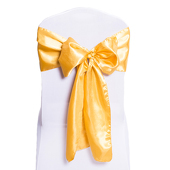 There are so many ways to style and create the look that you want on your special day. 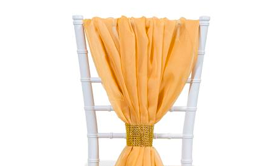 Ask us about our sashes and accessories to accent our wedding chair covers for sale and make your day truly special and unique! Customers who are interested to buy chair covers also purchase Seat Cushions, Scuba (Polyester Flex) Chair Covers, Chair Tutus and Spandex (Lycra) Chair Covers.